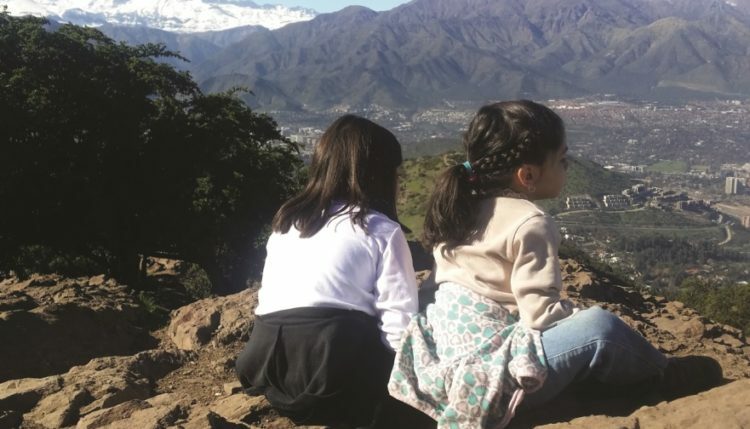 Chile has positioned itself as one of the most vulnerable countries to climate change in Latin America, with obvious and frequent natural disasters that have forced their governments, organizations and civil society to undertake the necessary path of adaptation. An x-ray at the current situation of a country with some achievements, but still much jointness to be done to address the main problem of the XXI century. Among the kilometers traveled, hours of waiting, and fears on takeoff; between everything that defines a trip I have ever witnessed majesty of nature and the address Chile, I have never seen almost 99% of people on board leave the movie or sleep to contemplate this magnificent gift of planet Earth. The Andes Mountains evidence that moment of divine contact with nature, with that immensity, with that question of need to know how much damage we are doing. Stepping on Chilean soil, between buildings under construction and noisy struggle between taxi and Uber drivers, that majesty is always present as a silent watcher. Along with my plane, climate change reached the headlines and newscasts: “Chile is the Latin American country better adapted to climate change”. Among dialogues and cafes, Chilean warned me that it could not be considered an achievement or victory, that reality clearly went beyond statistics, climate change, far from over, remained one of the major challenges for the country. What then was the glorious and eye-catching headline that captured the nation’s attention last April? The University of Notre Dame unveiled its “Global Index Climate Change Adaptation” (ND-GAIN) based on two components: the vulnerability to the effects of the phenomenon, and the preparation through the use of investments and actions of adaptation. There, Chile was among the best prepared, more precisely at number 30, more timely as the first Latin American country in the ranking. Joyce Coffee, managing director of the index, reflects on the Chilean position: “We are not surprised that Chile be as resilient. They have been preparing for increasingly frequent phenomena such as earthquakes. We celebrate its position, but we know it is not easy, we know that Chile is more vulnerable than other countries in many aspects and have to continue working”. In this regard, the expert stressed the importance of improving the medical staff per capita presents the country, key in situations of natural disasters. Far from underestimating the importance of the index, Fernando Farias, head of Climate Change at the Ministry of Environment of Chile, prefers to put things on the balance: “It is important because basically we share geography and problems. We have a way to go together to adapt to climate change, depending on the structures of each country. Climate change is a regional problem and we have to help each other to adapt. Chile will not only adapt but together with others”. Meanwhile, Paulina Aldunce, deputy director of the Department of Environmental Sciences and Natural Resources of the University of Chile and expert researcher adaptation of the Research Center for Climate and Resilience (CR)2, is critical: “If you look at the report, there is no indicator directly related to climate change. They are general aspects, but not specific to the subject. It is known that Chile is better in certain indicators, but that does not mean that we are advanced against climate change”. In either case, the index showed signs that the will or obligation, adaptation to climate change is a reality and necessity in the Latin American country. As the parameters of the United Nations, Chile has seven of the nine characteristics that define a country as vulnerable. Today has defined nine areas most affected, Farias described by “the agriculture and forestry sector and modifying food product of rising temperatures; fishing and aquaculture, the modification of species and the impact on the economy of workers; biodiversity and bio-climatic stress; the availability of water resources to lower rainfall and changes in the water cycle product of melting glaciers; the health of people and the emergence of new vectors; infrastructure and new works prepared for uncertain events; the energy sector and the response to a future increase in consumption; tourism as vulnerable to changes, but also as a key player of responsibility in contact with local biodiversity; cities and urban adaptation planning as one of the main present challenge”. Each of these areas is part of a National Plan for Adaptation to Climate Change as public policy, not environmental but cross-government. At the time, they are only approved the agriculture and forestry, biodiversity, and fisheries and aquaculture, in order to continue working in others and develop a plan for the cities as exclusive sector. Birds and butterfly on the one hand, citizens cycling with their dogs and houses on the other, were not only creative side of the front entrance of the Ministry of Environment, but were also the protagonist of the landscape to go the streets of the city. There, nature and urbanism seem to have more in common than differences, hence the need for adaptation to climate change is imperative as a common element. A few days after returning from Chile, the city was again declared environmental emergency condition to the high levels of air pollution. But what if we drifted apart a bit in the metropolitan region with nearly seven million people? What if we look at biodiversity in all its splendor: wildlife? Diego Luna Quevedo, conservation specialist at the Hemispheric Network Shorebird Reserve, explains exemplifying with those so characteristic beings of Chile, shorebirds, more vulnerable to the phenomenon as being one of the most migratory animals in the animal kingdom: “There are three clear impacts of climate change on biodiversity: the signs of rising sea levels that affect their habitat, changes in ocean temperatures and their direct relation to food availability, and changes in distribution ranges of birds and the cycle of life that affect their time”. In response, the network is active in building a hemispheric system of sites that are used by birds throughout its range, from the Arctic to Patagonia. Luna Quevedo is blunt about the need to act for the local fauna: “Actions and responses are required today, not tomorrow. We have to face the situation now or birds will be over. You and I can see some species extinct as today are already on red alert”. Such action also involves the common citizen care from bird habitat, beaches and wetlands, and the involvement of communities based on scientific knowledge that today finds its splendor in the use of social networks. In this regard, the expert says: “We work with people through festivals with multiple activities to make citizens understand that birds are indicators of the health of the environment in which we live”. Similarly, Diego Alarcon, forestry engineer and head of the Chilean Forest initiative, describes the impact of climate change on wildlife most prized local forests: “The decrease in rainfall affects species of trees located along the estuary, greatest need of water, and one already warns dryness state in which they are”. As with shorebirds, climate change affects the phenological cycle of certain grasses that germinate earlier than expected and end up wiping because rainfall is not enough during the spring, as in the case of oak. Against this, the focus is on meeting the needs of water scarcity people, flora remains in the background, with drastic consequences, for example, the tree Ruil Nothofagus alessandrii as endangered. Efforts are limited to initiatives such as Chile Forest with tours and briefings, or own shares of the National System of Protected Areas (SNASPE) to ensure the conservation of endangered areas. As Coffee express, “adaptation is also about taking decisions in the long term”. It involves the active participation of governments with its policies, the corporate sector as the major driver of the economy and owners of the money needed, and civil society in their daily actions. It involves the development of initiatives such as Adapt-Chile, in the words of its leaders Katherine Britt Indvik and Paola Vasconi, “linking scientific knowledge with decision-making of local governments, sharing experiences of municipalities to climate change from a local network, communication training in the subject because we often have a lot of macro information and require local and regional specific data to improve adaptation”. Vulnerability and steps made by Chile are both examples for other countries in the region, both serve to highlight the risks we face and the possible solutions to be implemented. Ultimately, we all want our grandchildren, our children and even our brothers today can continue to enjoy that magical moment of connection with nature across the Cordillera through the air.